Disclaimer: Please ensure you’ve got a full backup of your environment and a recovery plan before attempting the following procedure…as always! 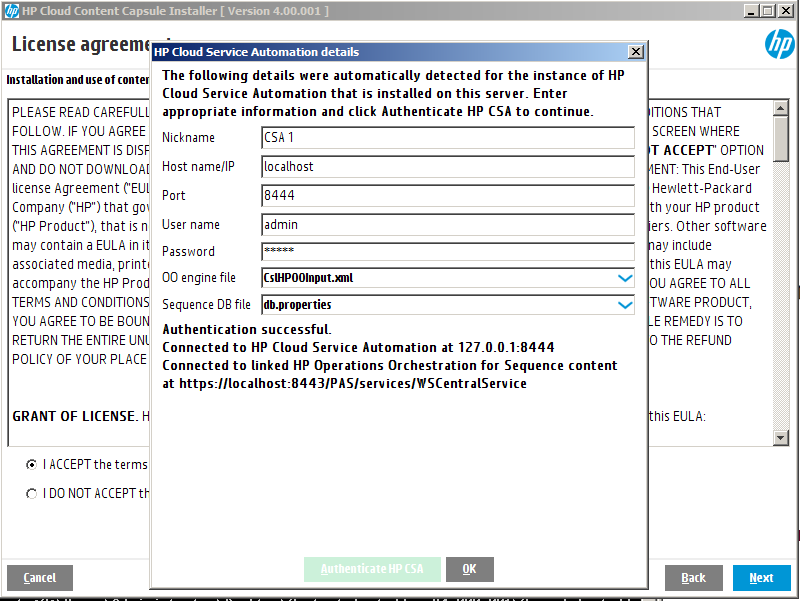 This blogpost covers the steps necessary to prepare Cloud Service Automation 4.6, HPE’s cloud service broker, for integration with Helion OpenStack 2.0 – or any OpenStack for that matter. 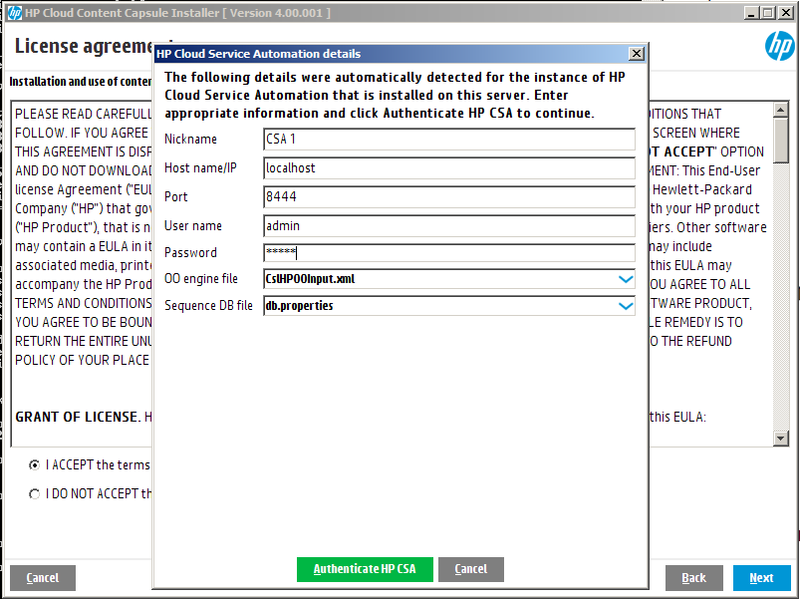 The user must have administrative access to the CSA 4.6 platform. 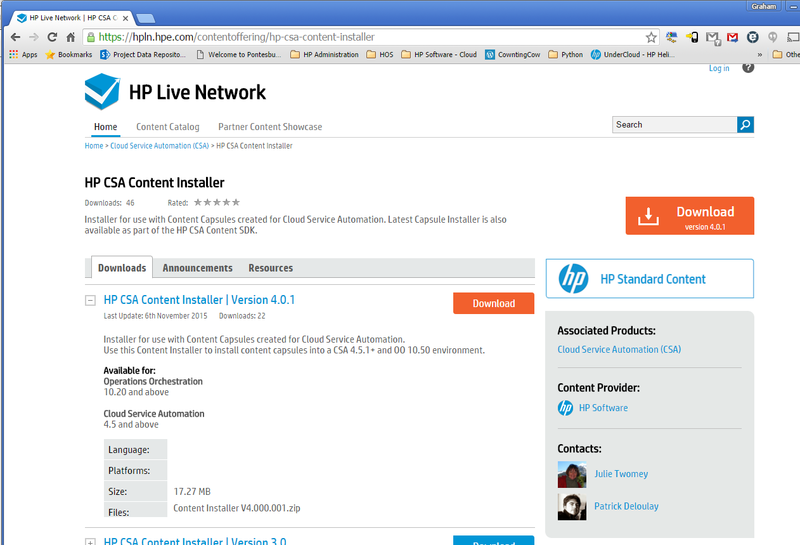 You also need to have a HP Live Network (HPLN) account with the appropriate privileges. 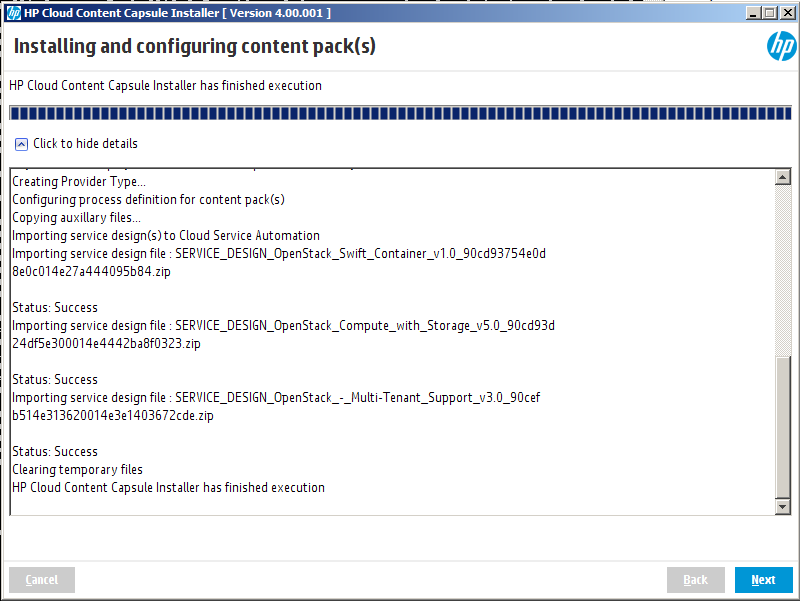 Extract both the CSA Content Installer and the OpenStack Capsules to a known directory. 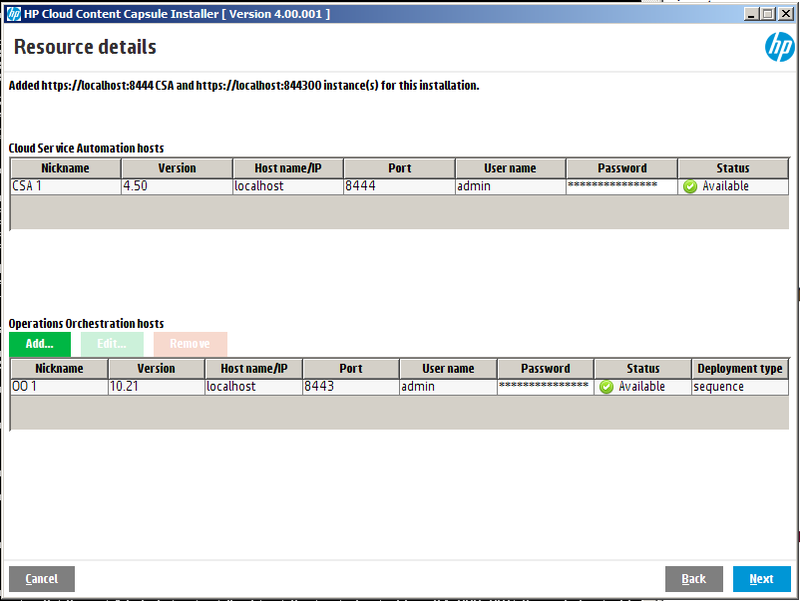 Open up a DOS command window and navigate to this directory. 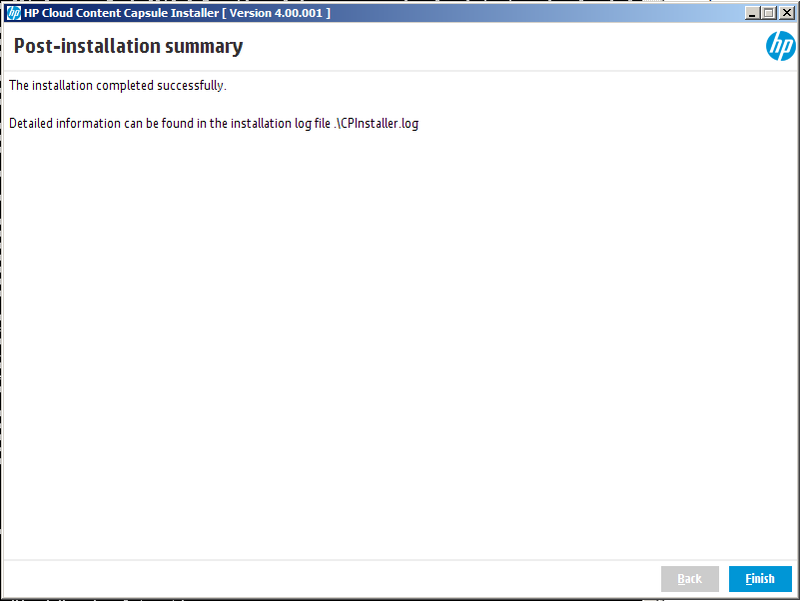 It should be at least 4.0. 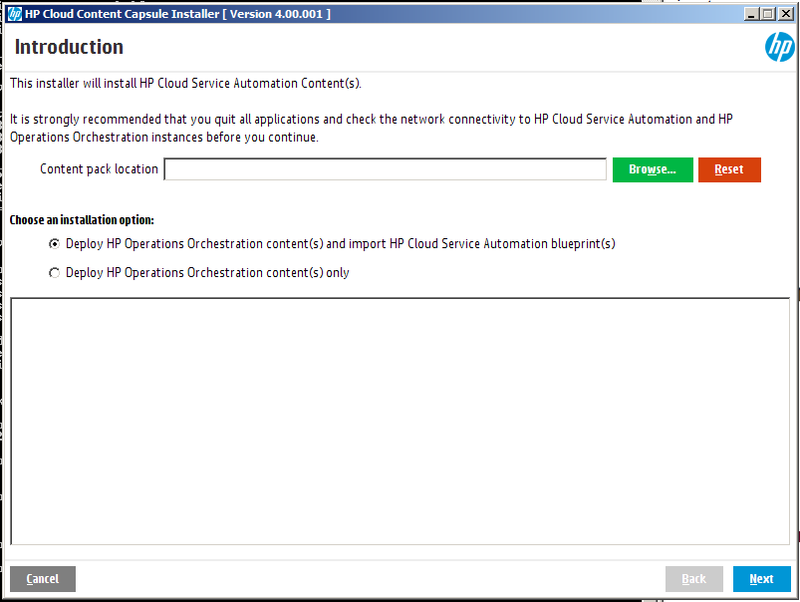 As my environment has CSA and Operations Orchestration (HP OO) installed on the same server I selected the option above to install the content for both applications. 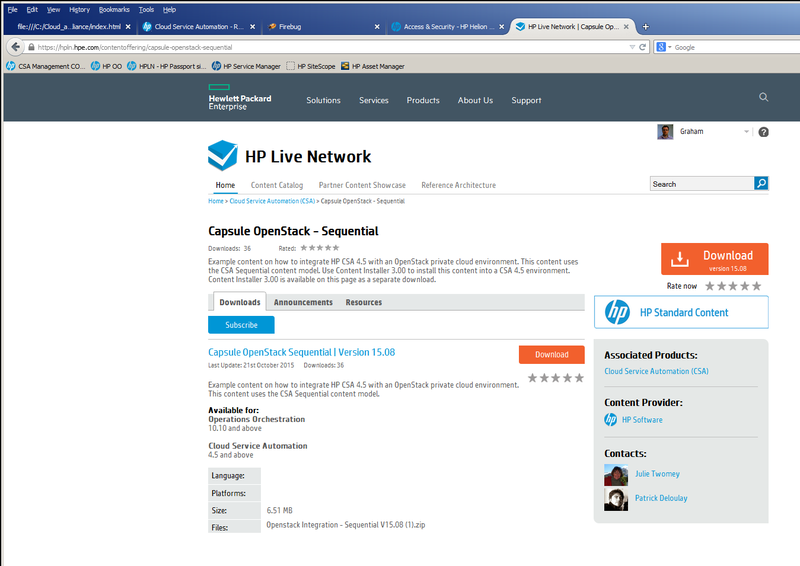 Browse to the extracted OpenStack Capsule and select next. 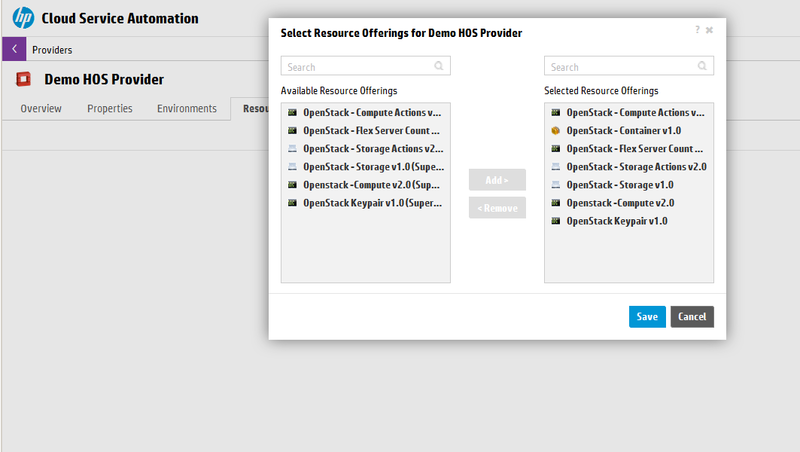 Check all your backups are in order! 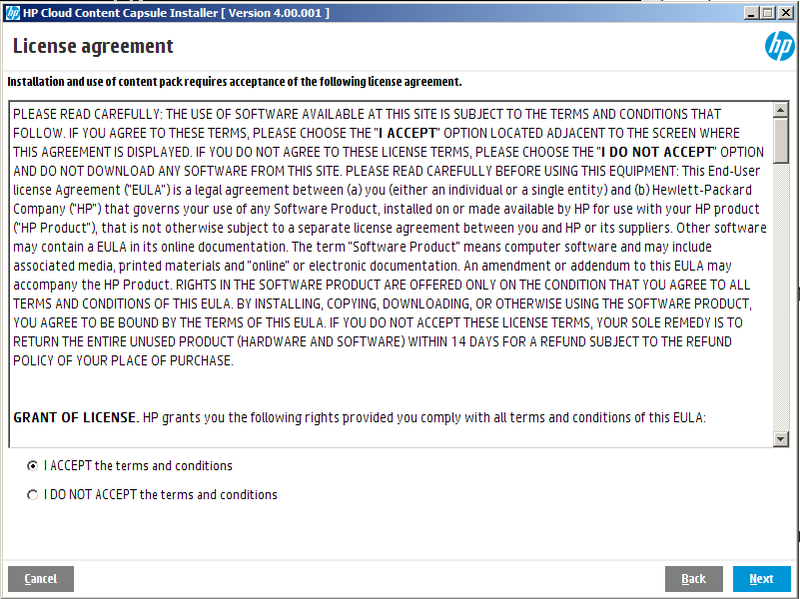 Verify that everything has been reported as installed successfully. 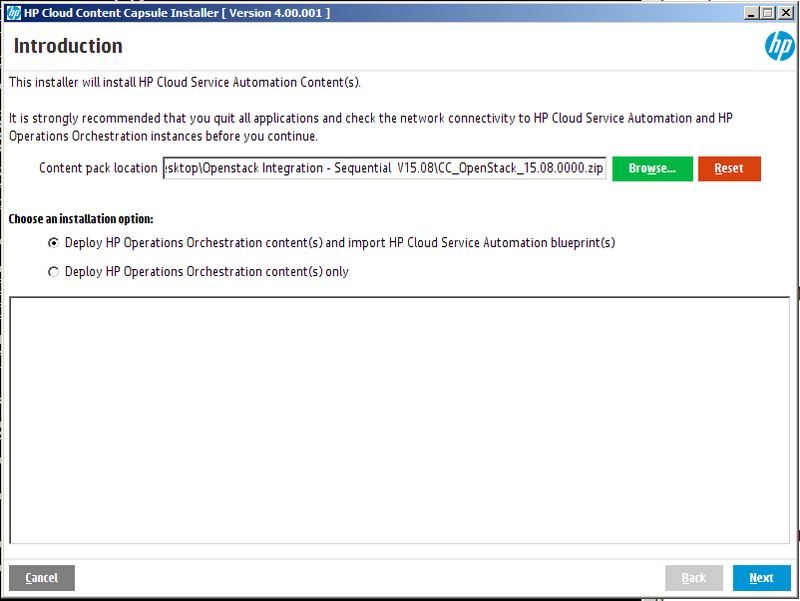 You now have the content loaded into both CSA and OO that facilitates simple integration with Helion OpenStack 2.0.